Langley, B.C. is set to become the home of the Fraser Valley’s first ever residential mass timber development. Legacy on Park Avenue marks the very first six storey mid-rise project in the Fraser Valley that uses mass timber in the form of Cross Laminated Timber (CLT). The Canadian Wood Council has confirmed this is also the very first application in Canada for a CLT Firewall. 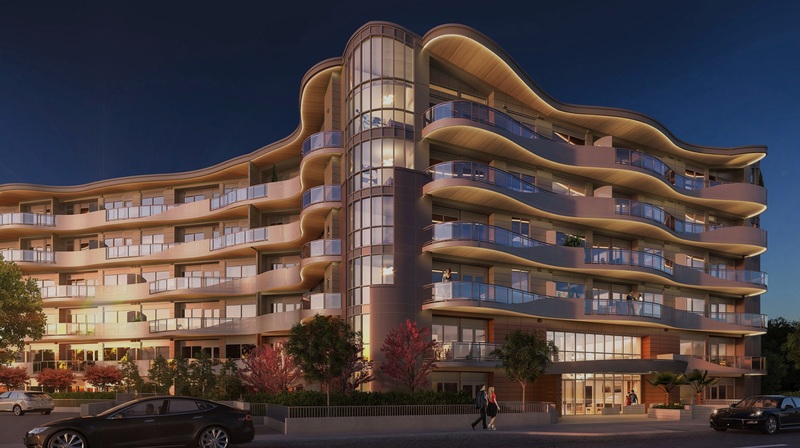 Legacy on Park Avenue is a six-storey residential development featuring two and three bedroom condominiums that is set to set the standard for architecture in the Fraser Valley. The eye-catching project combines state of the art advanced building systems with CLT panels to create a building unlike anything the Fraser Valley has seen before. Construction at Legacy is well underway with its completion slated for July, 2020. Beyond the superior design capabilities, the prefabricated engineered wood panels in the form of CLT, are a sustainable alternative to traditional materials like concrete. The innovative building material supports the environment, reducing the carbon footprint of the structure, creating healthier homes for the community. In addition to the seismic resilience and positive environmental impact, the CLT Panels work to reduce the transfer of heat and noise by approximately thirty five percent the rate of a concrete system. Through innovative technology and advanced wood building systems, CLT construction continues to grow in popularity as a superior choice for builders. The introduction of Legacy on Park Avenue to the Fraser Valley sets an exciting standard for future projects in the community. A superior standard of living will allow its residents to live sustainably while feeling safer in their homes.